According to a recent study that looked at the top 1,000 publicly held companies with the biggest research and development budgets, there were 88 companies that clearly outperformed the others. While these super innovators have a few characteristics in common, one of the most important is that they work to align innovation and business strategies. This approach has allowed them to do the nearly impossible and achieve continued innovation in increasingly competitive markets. Why is Aligning Business and Innovation Strategies So Important? Establishing a clear link between business and innovation strategies helps to define a purpose. Another report found that 65% of companies that spend 15% or more of their budget on innovation don’t have a clear innovation strategy. That leaves them with a lack of structure and strategy, stripping innovation of its transformational possibilities and turning it into a very expensive shot in the dark. 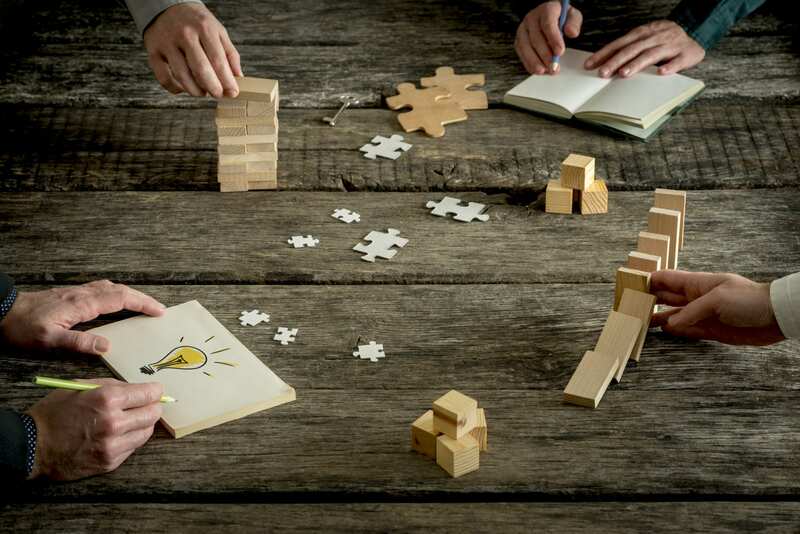 However, there are clear benefits to aligning business and innovation strategies that can help those companies that are struggling with how to get their innovation programs off the ground. Aligning business and innovation strategies turns innovation from being an abstract concept into a defined channel for achieving specific goals. With this crystalized plan, innovation becomes a concrete objective rather than a vague distraction from traditional tasks. You can’t make transformative changes without taking an honest look at your innovation performance thus far. Have you created a company culture of innovation? Are your employees comfortable introducing new ideas without fear of failure? Is there a clear process for submitting, testing and evaluating new ideas? Has innovation been incorporated throughout the business rather than existing as an isolated entity? It is impossible to close technological gaps, target the competition and get the most out of your innovation resources if you don’t have a clear picture of where you are and where you want to go. There are three main types of innovation: incremental, adjacent and transformational. The innovation you choose to tackle will depend on the competitiveness of your market, the popularity of your products, whether you want to expand into new markets and other factors. Analyzing your business, thinking about what kind of growth you want to achieve and understanding your competitors will allow you to choose the right innovation strategy. From there, you can begin to bring together business and innovation strategies so that they are pushing each other forward. While internal innovation is an option, the most innovative corporations are turning to open innovation — collaborating with external technology vendors and identifying the right solution to achieve joint innovation goals. Until now, companies have gone through slow and disjointed processes to evaluate and choose technology vendors to collaborate with. Today, however, evaluating technologies with a proof-of-concept platform allows companies to quickly understand the capabilities and compatibility of various technologies. This allows companies to compare technologies, decreases the time to innovation and provides employees with the tools they need to more easily make innovation a priority. There is no denying that aligning business and innovation strategies is a challenge. With 54% of top executives claiming that they are struggling to find the right relationship between business and innovation goals, even the highest performers haven’t perfected this emerging need. What is crystal clear, though, is that those who have worked to align these different strategies have experienced more success at a lower cost. By following the steps above you can ease the process of aligning your business and innovation strategies and set your company up for success in 2019.